Great looking, extended cab truck! Z71 Off-Road Package! Excellent Maintenance History! Zero accidents or damages. This is called a “Classic” because Chevy redesigned the Silverado in 2007 but decided to keep the old model in production as well. Powered by a strong and sturdy 5.3L V8 Vortec engine mated to a 4-speed automatic transmission. Handsomely styled, Silver Birch Metallic dent free exterior. Very clean, roomy interior with Light Titanium cloth upholstery. Features include dual zone climate control, upgraded stereo system with CD/MP3/AUX/USB capability, power locks, Line-X bedliner, and tow package. Safety features include 4-wheel ABS and dual frontal airbags. Four top quality Mastercraft Courser MXT tires. 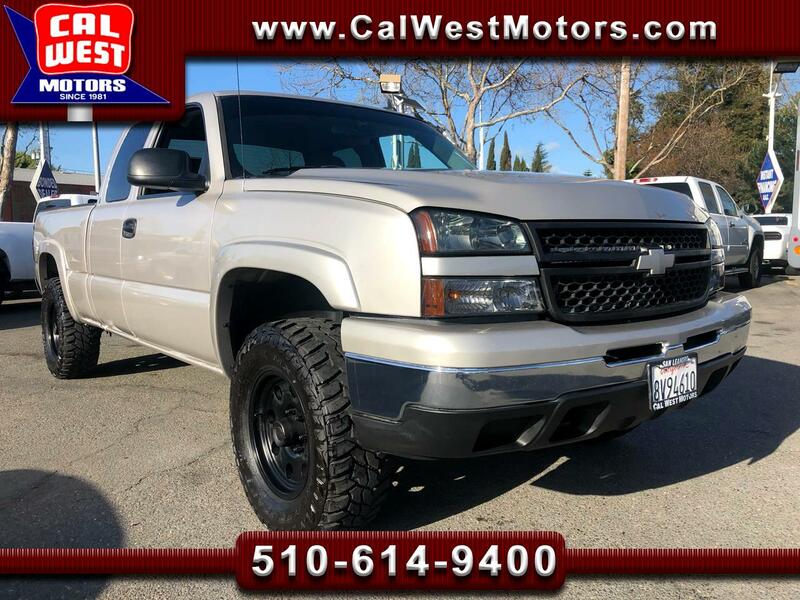 This Silverado's Handsome Looks, Excellent Maintenance History, and Off-Road Package create Great Value under $14,000.